A close-up of a leopard, little owlets hiding inside a pipe and a gorilla mother mourning the loss of her baby are just a few of animals featured in the photos that have won this year’s Wildlife Photographer of the Year. Wildlife Photographer of the Year is the most prestigious photography event of its kind, providing a global platform that showcases the natural world’s most astonishing sights. Wildlife Photographer of the Year is developed and produced by the Natural History Museum of London and the pictures will feature in an exhibition starting on October 19. A male jaguar sharpens his claws and scratches his signature into a tree on the edge of his mountain territory in the Sierra de Vallejo in Mexico’s western state of Nayarit. The boundary-post has been chosen with care -- the tree has soft bark, allowing for deep scratch marks that are a clear warning, backed by pungent scent, not to trespass. 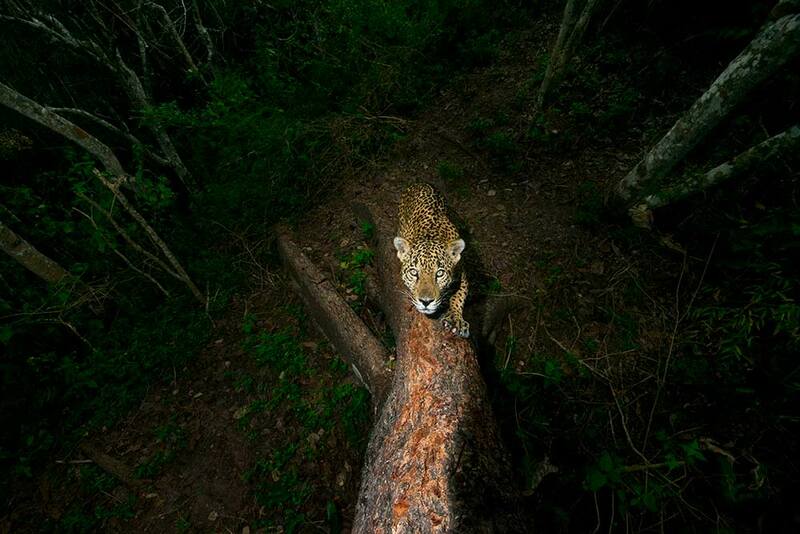 Alejandro set up his custom-built camera trap some 6 metres up the tree and returned every month to change the batteries.  Eight months elapsed before the jaguar eventually returned to this corner of his realm to refresh his mark. 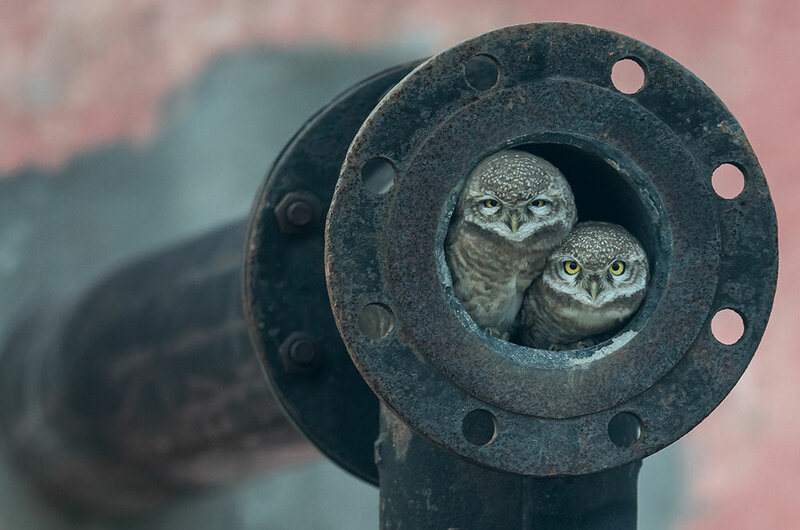 Huddled together at the opening of an old waste-pipe, two spotted owlets look straight into Arshdeep’s lens. He and his father had been driving out of Kapurthala, a city in the Indian state of Punjab, going on a birding trip, when he saw one of them dive into the pipe. His father didn’t believe what he’d seen but stopped the car and backed up. It wasn’t long before one of the owlets popped its head out. Guessing this might be a nest site and keen to photograph such an unusual setting, Arshdeep begged to borrow his father’s camera and telephoto lens. Using skills accrued from photographing birds since he was six years old, Arshdeep rested the lens on the car’s open window and waited. He wasn’t at eye level, though. Realising that if the window was half open, he could place the lens at the right height, he knelt on the seat and waited. It wasn’t long before the curious owlet -- less than 20 centimetres (8 inches) high -- put its head out again, closely followed by the larger female. It was not looking good for the northern water snake, clamped tightly in the jaws of a hungry hellbender, but it was a remarkable find for David. Drifting downstream in Tennessee’s TellicoRiver, in search of freshwater life (as he had done for countless hours over the past seven years), he was thrilled to spot the mighty amphibian with its struggling prey. 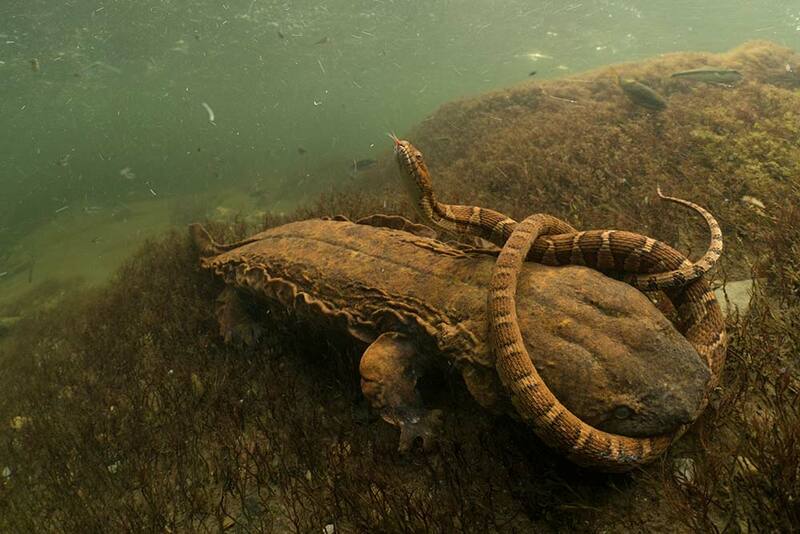 ‘It looked as though the hellbender had a firm grip and the snake was tiring,’ says David, ‘but then the snake squeezed its powerful body against the hellbender’s head.’ When the attacker tried to reposition its bite, wrinkly folds of skin rippling, the snake pushed free from its jaws and escaped. It was a hot summer day, and the waterhole at Walyormouring Nature Reserve, Western Australia, was buzzing. Georgina had got there early to photograph birds, but her attention was stolen by the industrious slender mud-dauber wasps, distinctive with their stalk-like first abdominal segments. They were females, busy digging in the soft mud at the water’s edge, and then rolling the mud into balls to create egg chambers to add to their nearby nests. 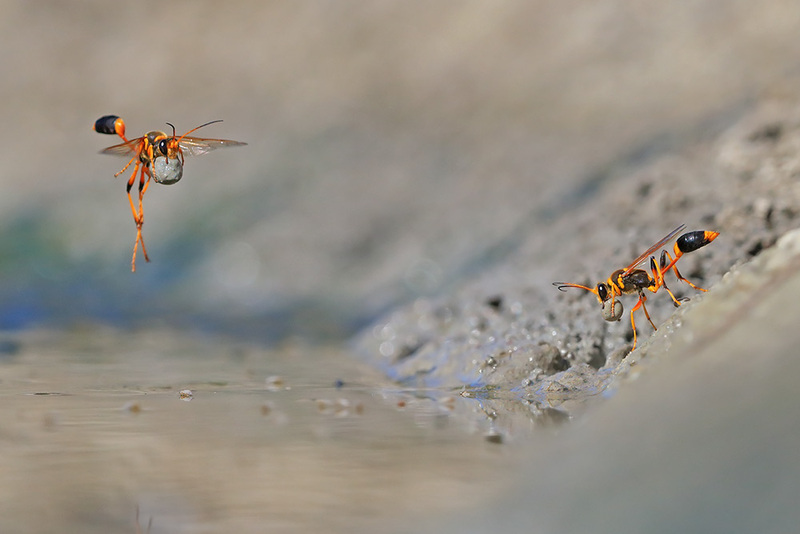 It took hundreds of attempts to achieve her ideal shot, of two slender mud-dauber wasps, each displaying an aspect of their quintessential mud-handling skills. 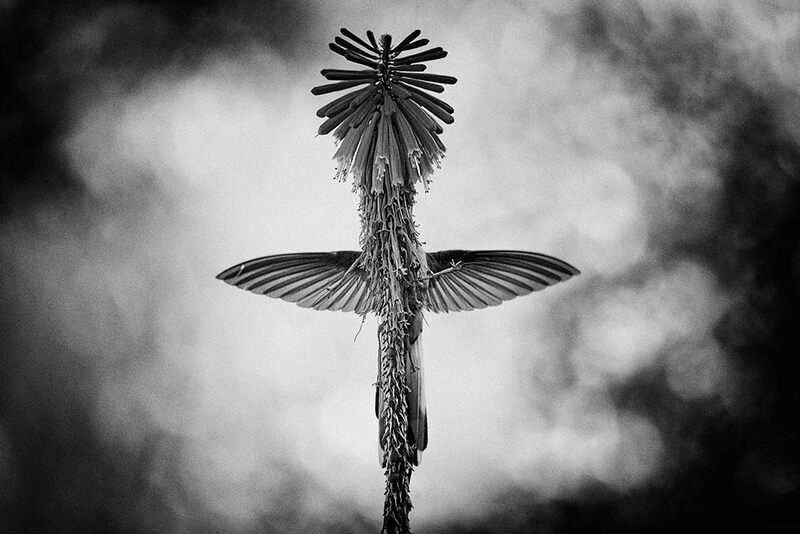 Perfectly balanced, its wings vibrating, its tail opening and closing, with its tiny feet touching the spike for just an instant, an eastern mountaineer hummingbird siphons nectar from the florets of a red-hot-poker plant. The cones of a female welwitschia reach for the skies over the Namib Desert, proffering sweet nectar to insect pollinators. These desert survivors have an extraordinary biology. There are male and female plants, both producing distinctive cones. Each plant comprises just two leaves, a stem base and a tap root. The woody stem stops growing at the apex but widens with age, forming a concave disc, but the two original seedling leaves continue to grow, gradually splitting and fraying. With a slow growth rate and the largest specimens spanning more than 8 metres (26 feet), some may be 1,000 years old or more (twice that has been claimed). 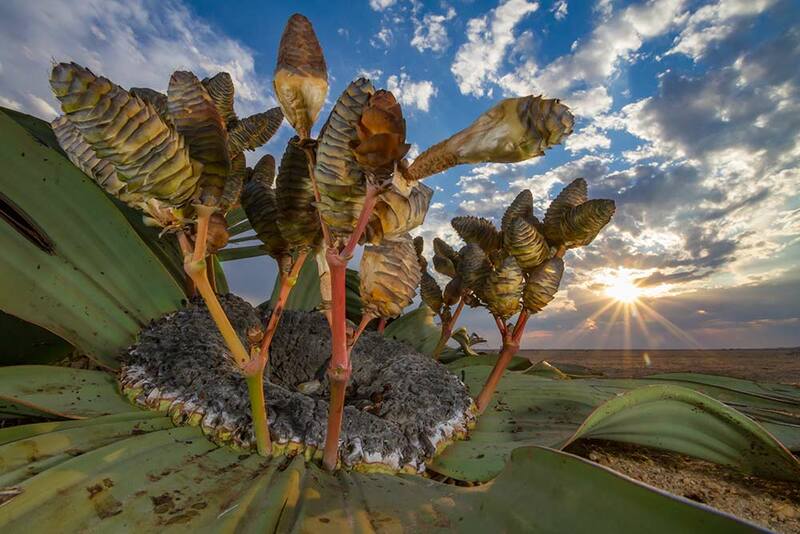 Endemic to Namibia and Angola, welwitschia endures harsh, arid conditions, usually within 150 kilometres (90 miles) of the coast, where its leaves capture moisture from sea fog. Timbul, a young long-tailed macaque, instinctively puts his hand to his face to try to relieve the discomfort of the mask he has to wear. 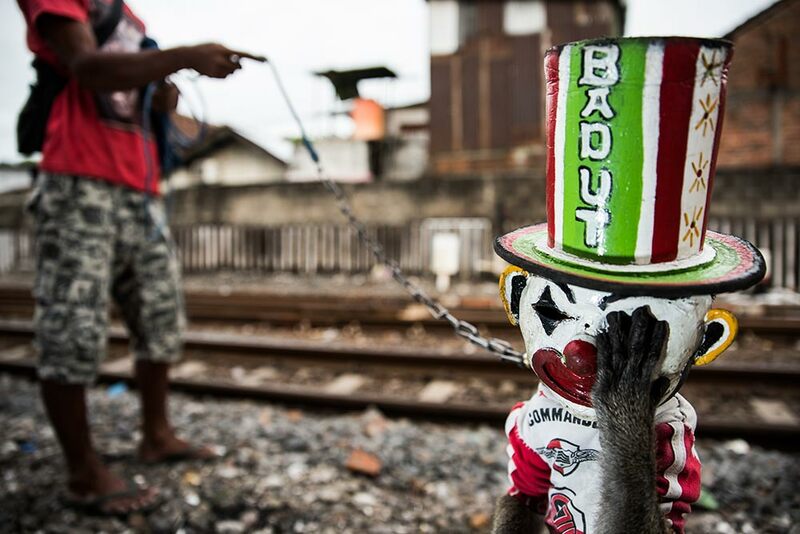 His owner is training him to stand upright so that he can add more stunts to his street‑show repertoire (the word Badut on the hat means clown). A shadowy movement caught Marco’s eye as he drove slowly through a village in the Abruzzo, Lazio and Molise National Park in Italy’s Apennine Mountains. 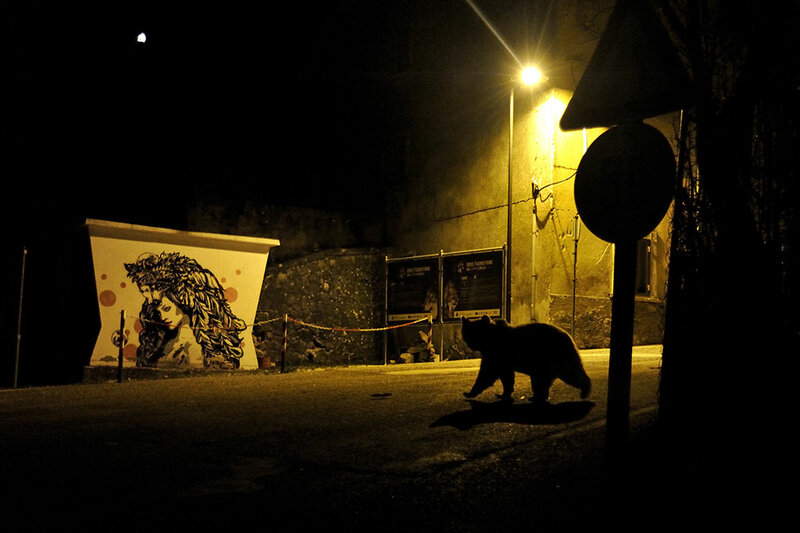 It was late evening, and he thought there was a chance that it might be a Marsican brown bear rather than a deer waiting to cross the road. Stopping the car, he switched off the lights to avoid stressing the animal. He had just a few minutes to change lenses and prepare to take a shot through the windscreen before the bear walked out of the shadows and across the road, disappearing into the dark of the woods. Though the light was poor, the backdrop made up for it, complete with nature-tourism posters. Most Marsican brown bears – an isolated, unaggressive and critically endangered subspecies – stay well away from humans. A few individuals, though, venture into villages to raid vegetable gardens and orchards, especially in the run-up to winter hibernation, when they need to lay down fat. This puts them at risk of being hit by cars, of retaliatory poisoning and of harassment. 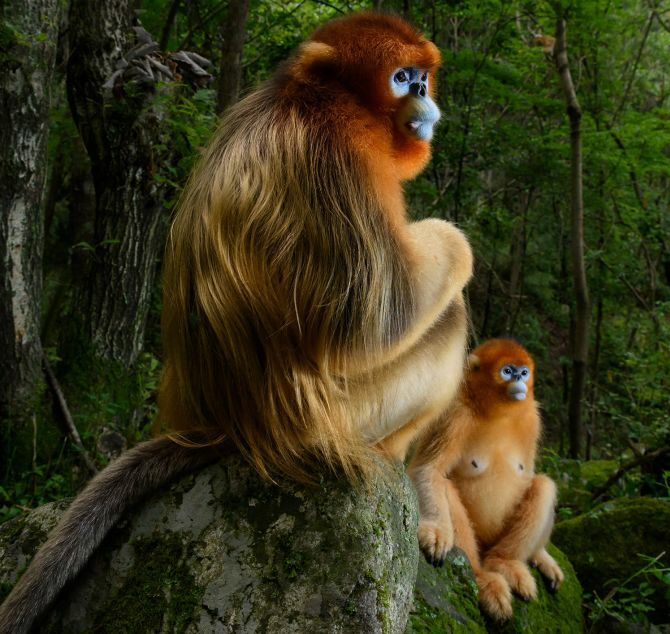 A male Qinling golden snub-nosed monkey rests briefly on a stone seat.  He has been joined by a female from his small group. Both are watching intently as an altercation takes place down the valley between the lead males of two other groups in the 50-strong troop. 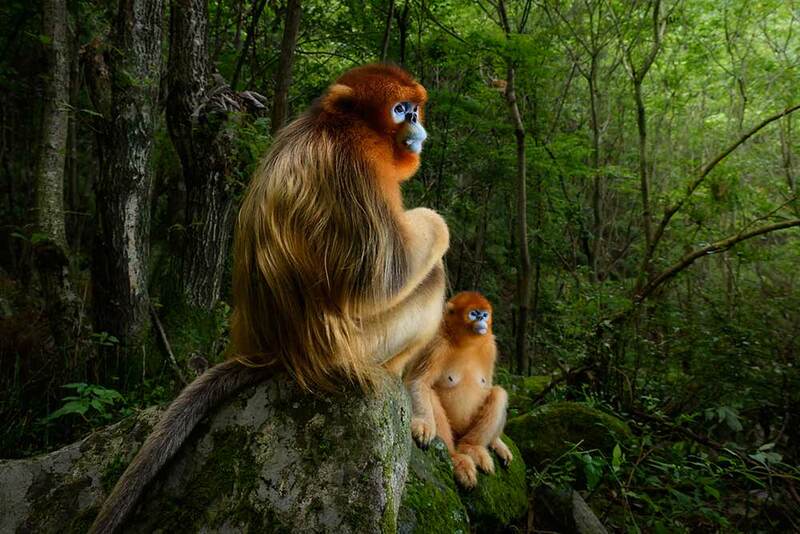 It’s spring in the temperate forest of China’s Qinling Mountains, the only place where these endangered monkeys live. 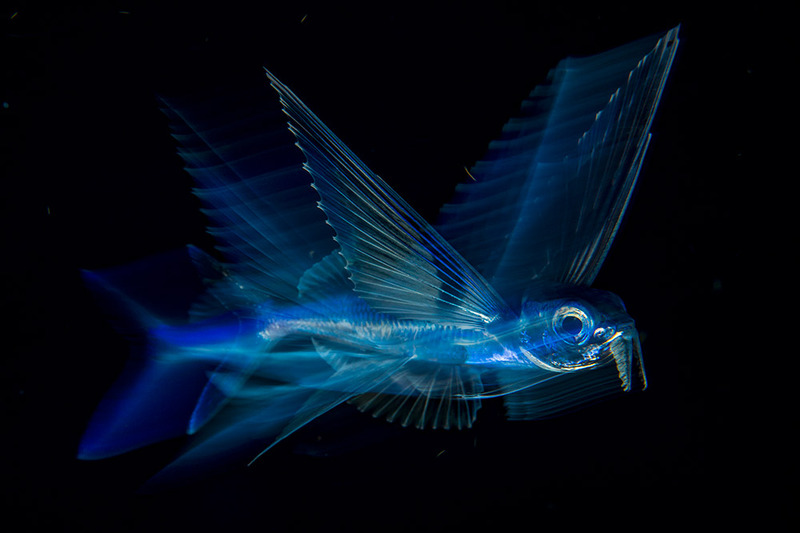 On a night dive over deep water – in the Atlantic, far off Florida’s Palm Beach – Michael achieved a long-held goal, to photograph a flying fish so as to convey the speed, motion and beauty of this ‘fantastic creature’. By day, these fish are almost impossible to approach. Living at the surface, they are potential prey for a great many animals, including tuna, marlin and mackerel. But they have the ability to sprint away from danger, rapidly beating their unevenly forked tails (the lower lobe is longer than the upper one) to build enough speed to soar up and out of the water. As storm clouds gathered over the Ardennes forest in Belgium, Michel hid behind a tree under a camouflage net. It was the best spot for viewing any action on the ridge – a place he knew well – but he needed luck for all the elements to come together. The thrilling sound of two red deer stags, roaring in competition over females, echoed through the trees, but infuriatingly the action was taking place further down the slope. Well matched, neither challenger was giving way, and the contest escalated into a noisy clash of antlers. 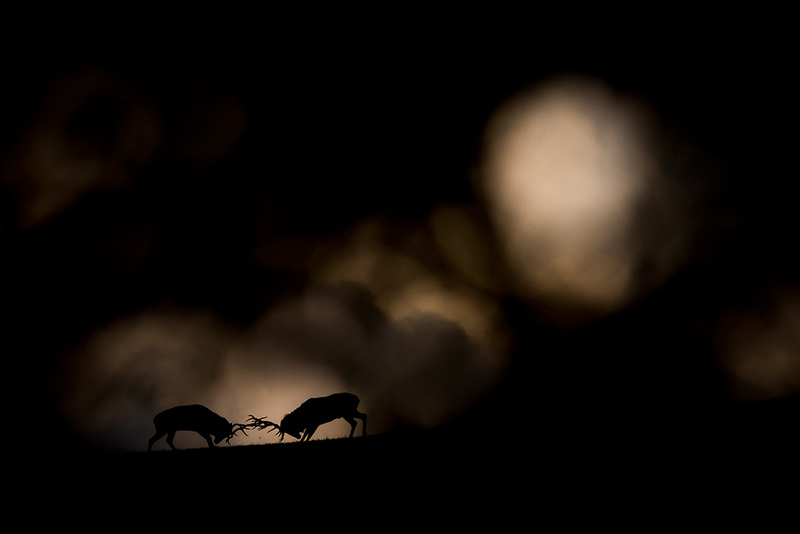 For years, Michel had wanted to picture this highlight of the rut in the dramatic light of dusk, but the stags were never in quite the right place at the right time. At last, the stags appeared on the ridge, antlers locked, silhouetted. Michel had time to capture the clash – through branches of the tree to create the atmosphere – before the light faded and he had to leave the fighters, still locked in battle. 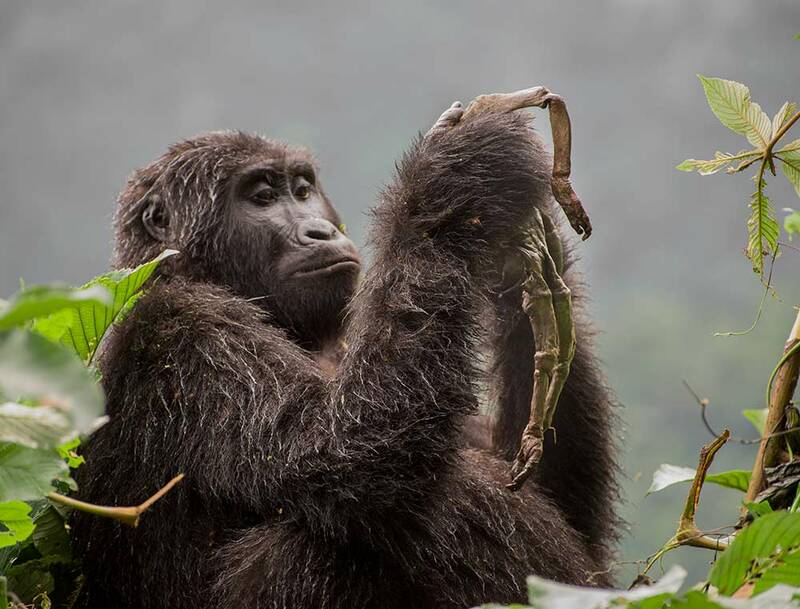 Kuhirwa, a young female member of the Nkuringo mountain gorilla family in Uganda’s Bwindi Impenetrable Forest, would not give up on her dead baby. What Ricardo first thought to be a bundle of roots turned out to be the tiny corpse. Forced by the low light to work with a wide aperture and a very narrow depth of field, he chose to focus on the body rather than Kuhirwa’s face. Guides told him that she had given birth during bad weather and that the baby probably died of cold. At first Kuhirwa had cuddled and groomed the body, moving its legs and arms up and down and carrying it piggyback like the other mothers. Weeks later, she started to eat what was left of the corpse, behaviour that the guide had only ever seen once before. Kuhirwa’s initial reactions to her bereavement echo responses to death seen in other species. Mathoja was dozing when they finally found her, lying along a low branch of a nyala tree. And she continued to doze all the time they were there, unfazed by the vehicle. ‘She would sleep for a couple of minutes. Then look around briefly. Then fall back to sleep,’ says Skye. 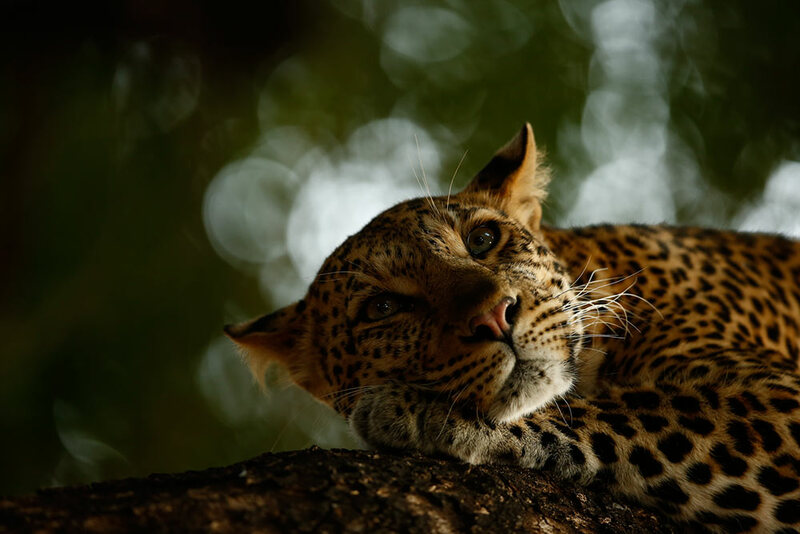 Mathoja’s home is Botswana’s Mashatu Game Reserve, which Skye and his family regularly visit, always hoping to see leopards, though they are notoriously elusive. When rations run short on WolfIsland, in the remote northern Galápagos, the sharp-beaked ground finches become vampires. Their sitting targets are Nazca boobies and other large birds on the plateau. Boobies thrive here, nesting among dense cactus thickets and fishing in the surrounding ocean, but the finches have a tougher time. The island has no permanent water and little rainfall. The finches – among the species that inspired Darwin’s theory of evolution – rely on a scant diet of seeds and insects, which regularly dries up. 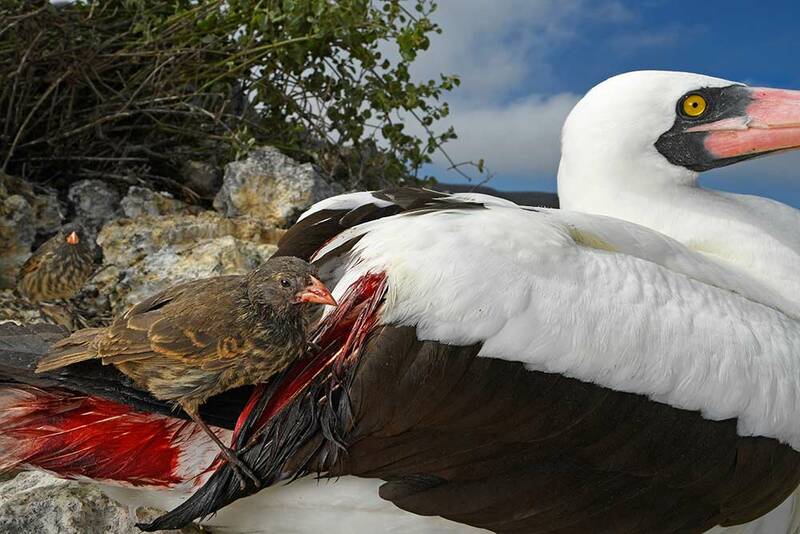 Pecking away at the base of booby flight feathers with their sharp beaks – a trait that may have evolved from feeding on the birds’ parasites – they drink blood to survive. ‘I’ve seen more than half a dozen finches drinking from a single Nazca booby,’ says Tom.